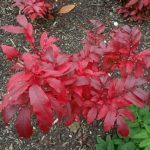 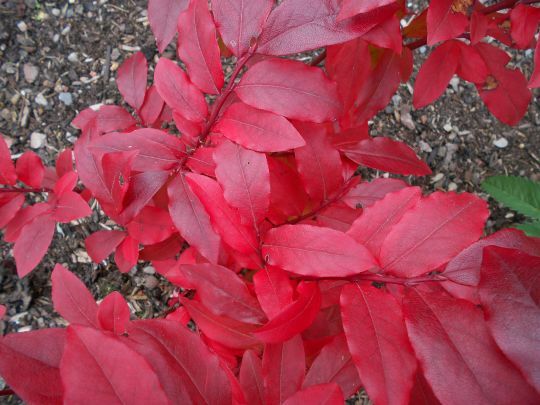 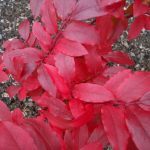 Vaccinium arctostaphylos, a deciduous shrub showing full autumn colour. 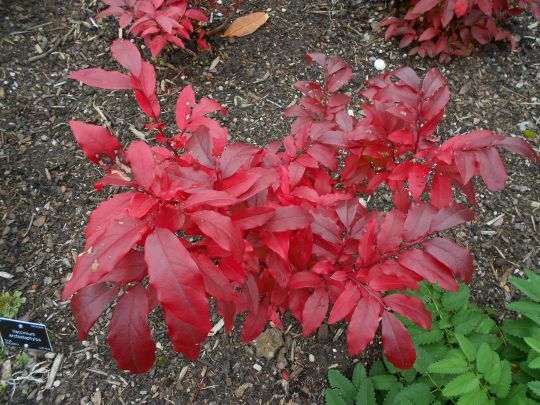 All foliage shines with the vibrancy of this single deep red colour that is attracting so much attention. 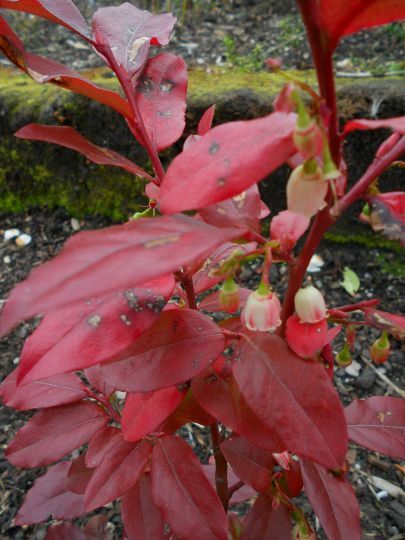 Amongst the foliage are sporadic, out of season ivory white flowers. 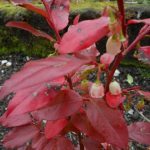 Growing in the peat walls, it is naturally found on acid soils below the tree line on slopes and mountainsides, native to SW Asia.